Includes a microwave and refrigerator. 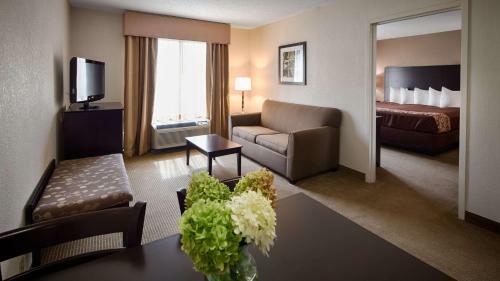 The Best Western Suites offers all the right amenities for business and leisure travellers at an unbeatable value and convenient location. 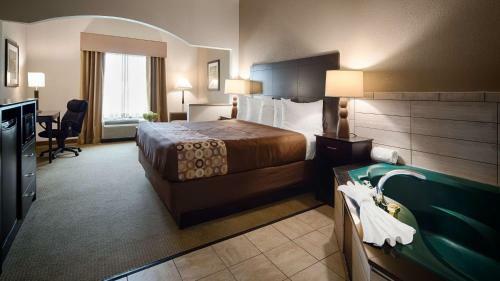 Guests will also be 4.8 km from the Hollywood Casino. 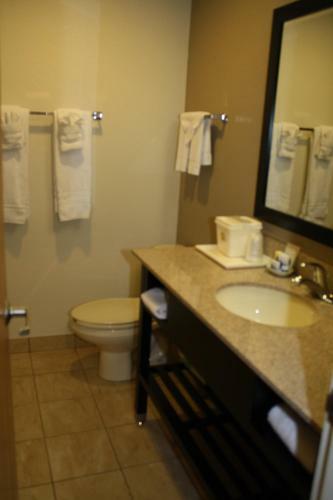 The hotel offers comfortable lodging for travellers visiting Columbus for business, government work or pleasure. All the spacious, clean rooms offer free Wi-Fi, cable television, a refrigerator, microwave, coffee maker and more. Splash about in our indoor pool or unwind in the hot tub. 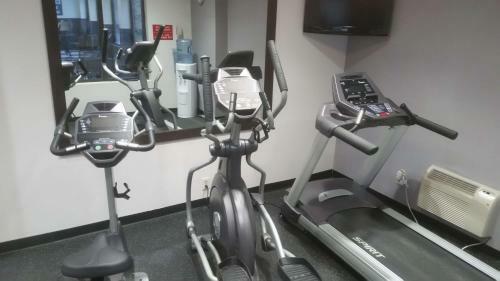 Enjoy the onsite fitness center, or get some work done at the business center. 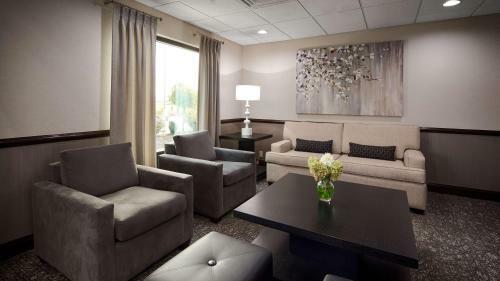 This Columbus hotel also offers dry cleaning, meeting facilities, 24 hour front desk and free parking. 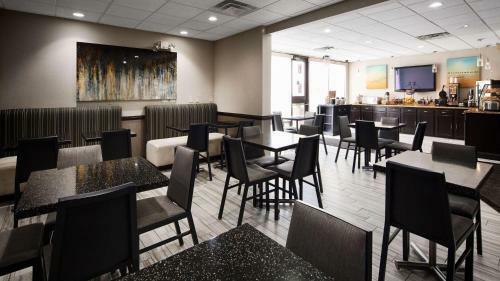 This Columbus hotel is conveniently located 3 km from motorway I-270 and 9.6 km on the west side of Columbus off motorway I-70 at Junction 91. Overall it was very good hotel to stay. Day Manger was very willing to give my husband and I a new room when our first room wasn't cleaned . 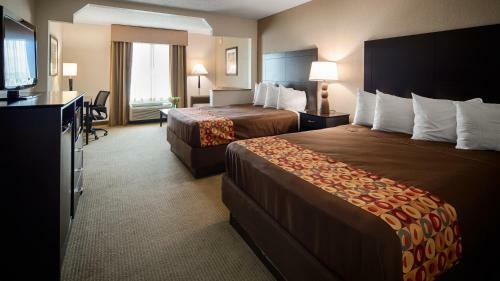 Very poor communication between housekeeping and management with having rooms cleaned and ready for guest. The next morning 2 hours before checkout a housekeeper even entered our room and when I told Kathy manager on duty she told my husband and I that we wasn't her customer because we booked on booking.com and that she couldn'the do anything. Bed comfy. Room clean. Good breakfast. Musty/ stale cigar smell upon entering room226 and in hallway of 2nd floor. Pillows were small and lumpy. Breakfast was great room was awesome !! My daughter loved the pool we.had a great time. Great location where I would be glad to stay again. 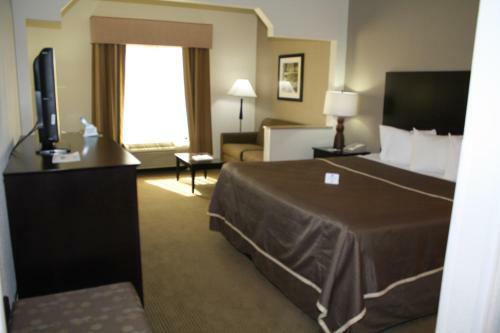 The bed was very comfortable and the lady at the front desk was very nice, friendly and helpful. The first room we were given had not been cleaned and when we opened the door, dirty towels and sheets were every where. Great hotel and wonderful time! Perfectly located. The hotel is about 5 mins (or less) from the I70. There are plenty of places to eat and shop surrounding it. 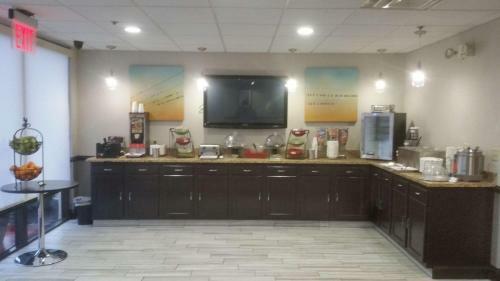 Hmmm.... the continental breakfast had a lot of options but the food was just OK. There is literally a Steak and Shake (open 24 hours) and Bob Evans up the block though. 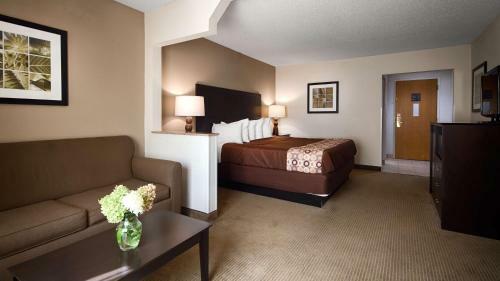 We enjoyed this Best Western a lot, it was comfortable and there was plenty of room for 4 adults in the room. We enjoyed the suite that had a sleeper sofa, so my sister and I didn't have to share a bed haha. The breakfast was pretty good there were a few options that my sister could have that is Gluten Free, and Dairy Free. So she was really happy about that. The pool area was nice, but we wished there was a bathroom there in the pool area, and the hot tub if it's not on it is cold water coming through so we had to warm it up before we could enjoy it. Loved the hotel. Would stay again. I booked through booking.com. Had confirmation for 2 rooms. 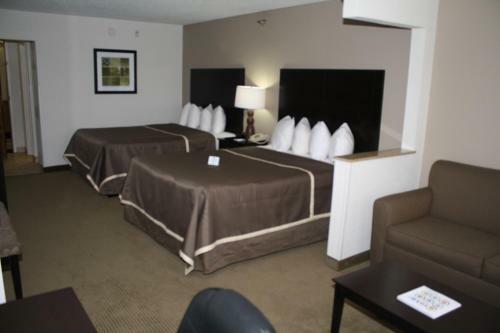 When I got there, they only had us down for 1 room. They did give us another room. So I was happy! Zimmer waren groß und geräumig. Frühstück war reichhaltig und qualitativ gut. Super Swimmingpool und Fittnesbereich sehr schön und gepflegt. Sauberkeit der Zimmer. Bettdeckenbezüge und Handtücher nicht so richtig sauber. Zimmer wurde bei uns am zweiten Tag nicht gemacht. The pool area was wonderful. Hot tub was a great temp and everything was clean. The woman who took care of breakfast was amazing, so friendly and warm, she really started our day off well. The room smelled musty and wet. Not a nice first impression at all. The hotel is smack in front of a big construction project, just across the parking lot. Loud and ugly. The bed was okay to sleep in. Breakfast was good, lots of options. Enjoyed the soy milk they had available. Didn't swim in the pool but it looked very inviting. Visited the vending machines & there were many options. Did not use the laundry room, because we weren't staying long. 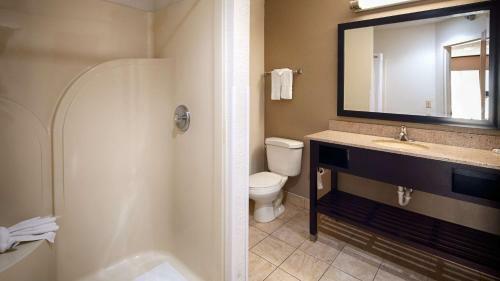 We were given fresh towels & showering amenities the next day. 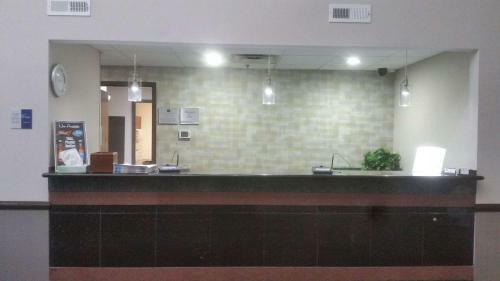 Staff wasn't very friendly upon checking in. 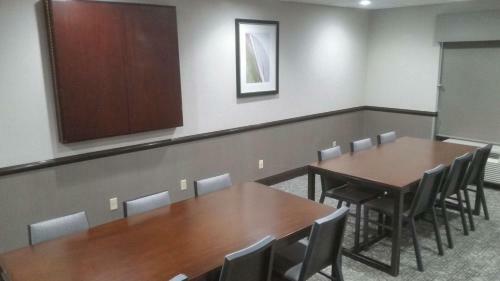 The room was comfortable but had a very stale smell to it. It was very hard to park with a larger truck, small parking areas. Loud noises outside with all of the construction behind the hotel. Could train to be a little more friendly to the guest. Guest was more friendly then (2) they were. Breakfast was nice. The Day Desk Clerk Lady was very FRIENDLY. The night Male Desk Clerk was friendly. The lady that work in the kitchen could have been a little m more friendly. The Lady that worked the morning we checked out could have been FRIENDLY. Nice place. A bit hard to find off Interstate. There was a downpour one day. With lots of construction and development nearby the parking lot flooded and I was concerned about my vehicle. Drainage needs to be properly developed. 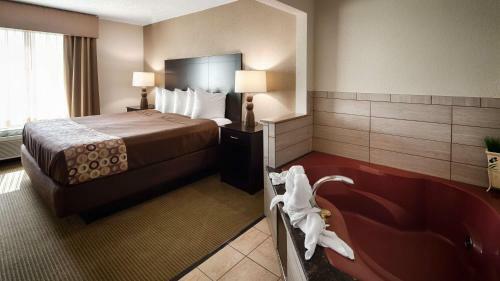 The whirlpool tub was a great relaxation. Our room was spacious. The staff was courteous. Breakfast had plenty to offer. The bed was hard and woke up stiff every morning. The couch fabric was rough. The outside new construction work and turning onto the main road was tasking. Excellent breakfast. Looks very new and clean. Sheets would not stay on the beds. Pillows are quite small. Breakfast was free, beds were comfy. 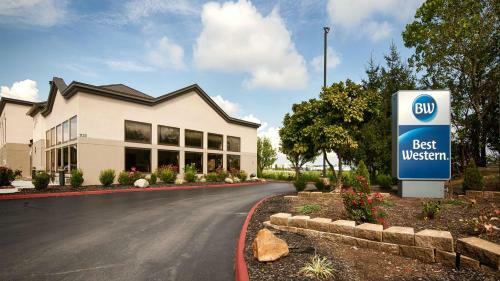 Just off I-70, this straightforward hotel is 3.9 miles from Hollywood Casino Columbus and 11.4 miles from the Columbus Museum of Art. 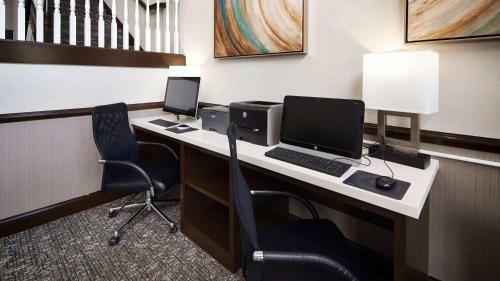 All of the classic rooms offer pull-out sofas, free WiFi and flat-screen TVs, as well as minifridges, microwaves and coffeemakers; some have whirlpool tubs. Freebies include hot breakfast and parking. 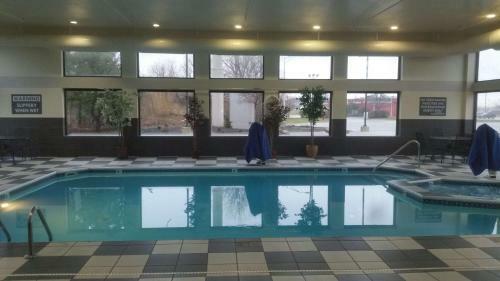 There’s also a indoor pool with a whirlpool spa, a sauna, and an exercise room. 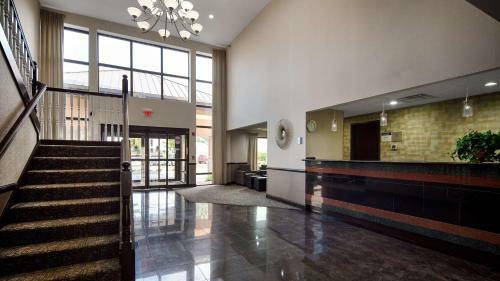 Other amenities include meeting space and a 24/7 business center, in addition to a lounge area with a fireplace.